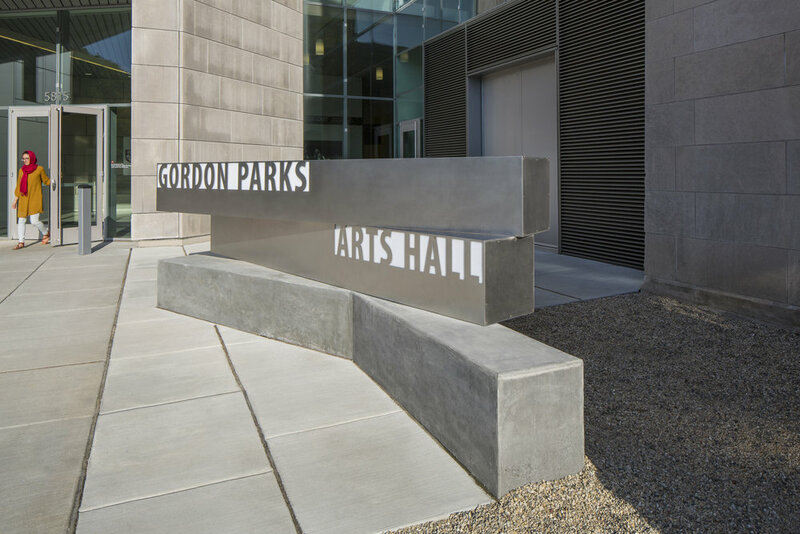 Gordon Parks Arts Hall — Valerio Dewalt Train Associates, Inc. In 2007, the University of Chicago Laboratory Schools began one of the most ambitious and far-reaching expansions in their history. The project includes three phases - Earl Shapiro Hall, a new 120,000 SF building for nursery to the second grade; Gordon Parks Arts Hall, a new 80,000 SF arts hall addition; and the renovation of five existing buildings which range in date from 1903 to 1996. Gordon Parks Arts Hall is positioned at the north end of the Lab School’s main campus. 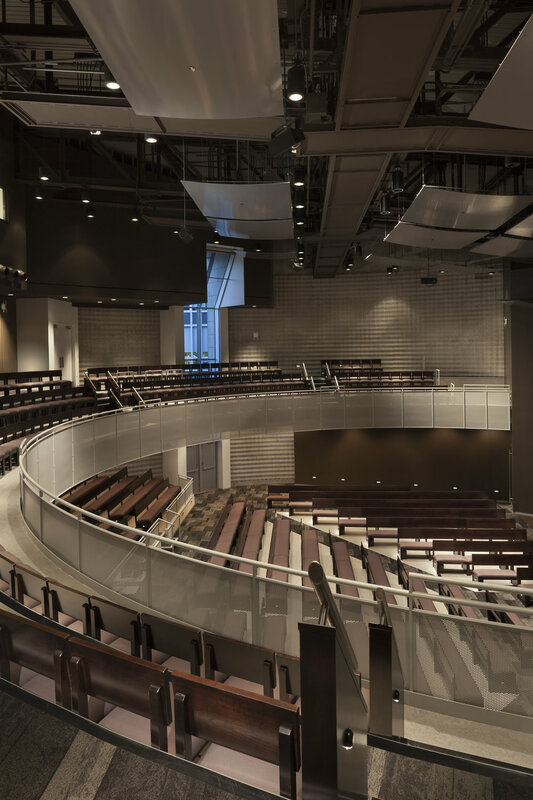 The new building serves the Middle School and High School arts program by providing spaces for music and performing arts education; including a 680-seat assembly hall. The geometry of the design is a modernized extension of the historic Lab Schools’ gothic architecture with Belfield’s gabled roof reflected in the angular glass and stone facades of the Arts Wing. Floor to ceiling glass along the north façade wash the interior spaces in natural light, creating a seamless connection between the exterior and interior. Indiana limestone is used on the exterior to match the existing vernacular, while a glass curtain wall and ribbed metal panels are used to complement the existing building. The Gordon Parks Arts Hall’s four solar chimneys provide verticality and height to the north facing folded glass façade. Extensive green roofs are planted at both the high and low roofs, providing views of natural vegetation from within the building.